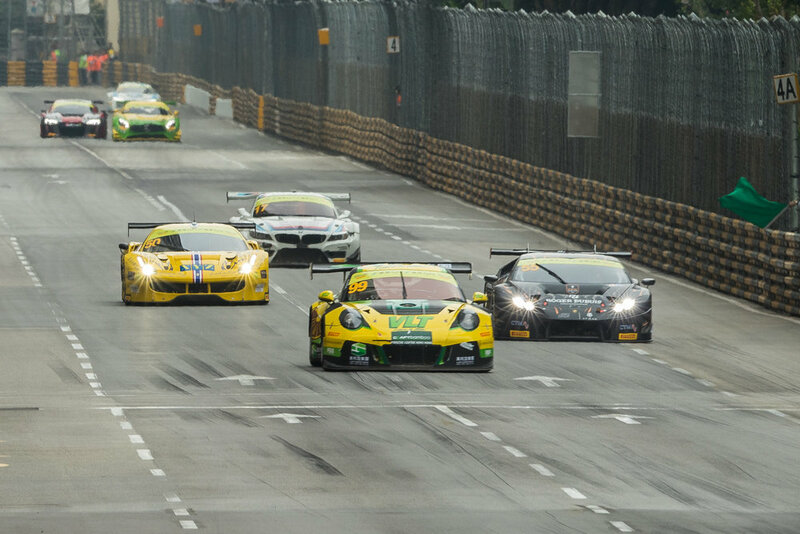 Macau Grand Prix is well known for its tight turns, long straights and yellow and black steel barriers that have claimed many teams and drivers championship hopes. 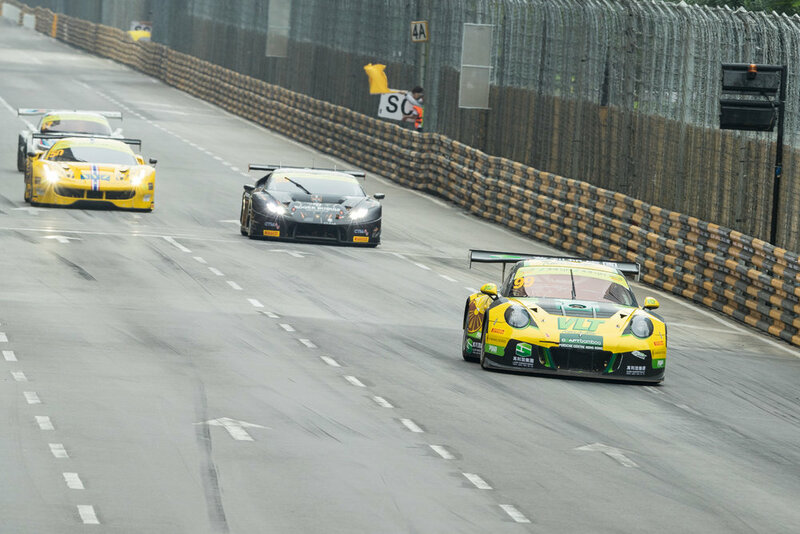 The City of Macau comes alive for a four day action packed motorsport festival. 2016 was as exciting as ever, working with Craft Bamboo and VLT, the teams major sponsor. 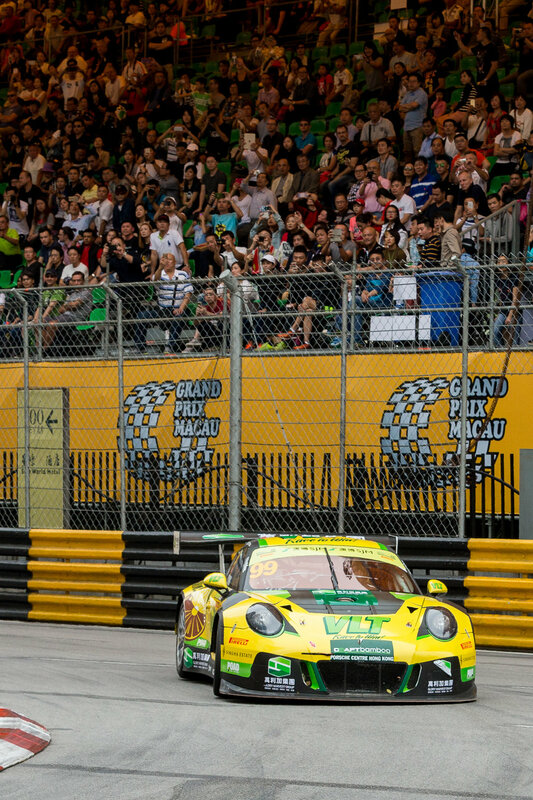 Craft Bamboo who compete in the GT Asia series which is the regions leading GT championship featuring the best production based supercars such as Porsche, Ferrari, Lamborghini and Bentley. Over the four days we were hired as the teams official photographers capturing everything from pit lane, garage preparations, VIP's, and race day action on the track. Here's a little insight into what went on. 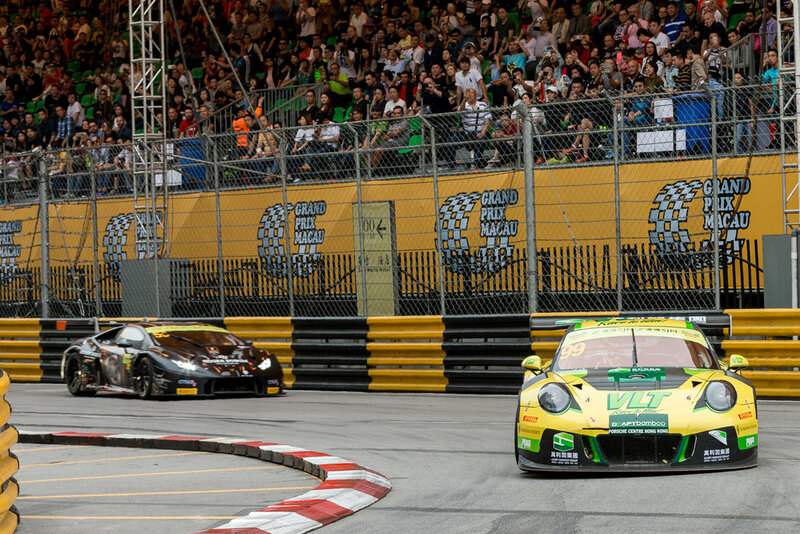 Darry'l O'young attacking the famous Melco hairpin turn. The 2016 event was definitely more challenging to photograph due to tighter securities on vantage points. 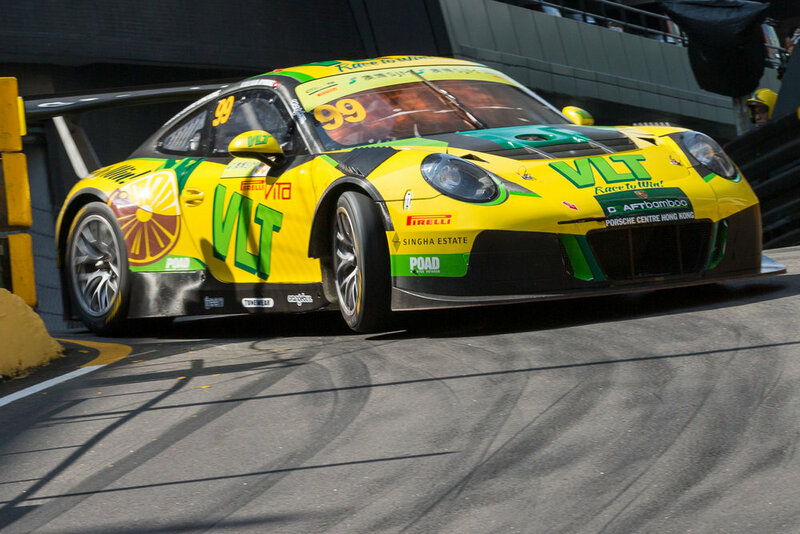 Nevertheless, this is one of the most exciting corners whereby the cars lift a wheel off the ground due to the angle of the turn, this makes for an exciting dynamic image. Team Craft Bamboo leading the way after a restart. This is one of fastest parts of the Macau circuit coming out of Fishermans bend heading towards the famous Lisboa corner. Darryl O'young pushing hard in Qualifying. Always a crowd favourite, VLT Race To Win, Craft Bamboo Racing Team. Autograph session in the paddock with Darryl O'young and the VLT racing Queens. Sadly the weekend did not finish well for the team after being pushed into a wall from a competitor. Unfortunately the car did not make it back onto the track after the incident. Motorsport events are long days and nights. The excitement and exhilaration you get from working with and around professional motorsport teams is second to none. It was a pleasure to work with Craft Bamboo and VLT, we look forward to more exciting projects down the road.